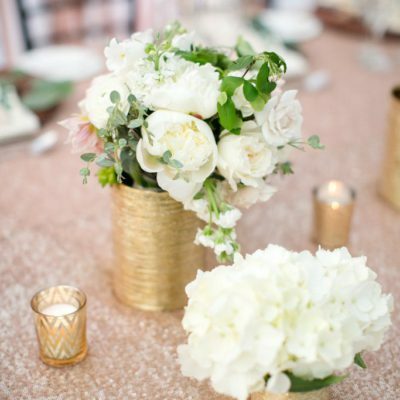 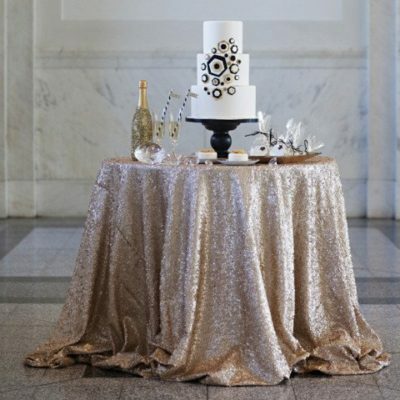 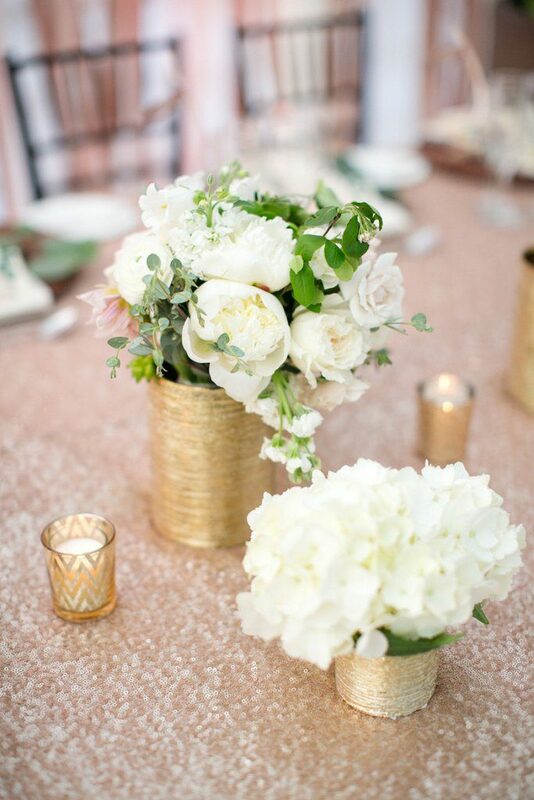 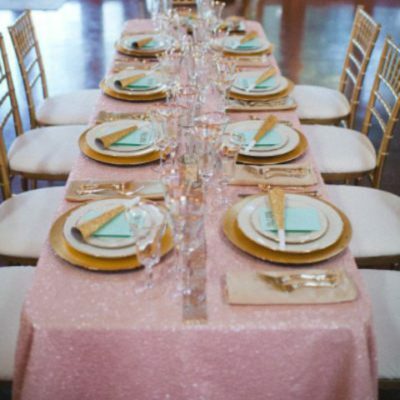 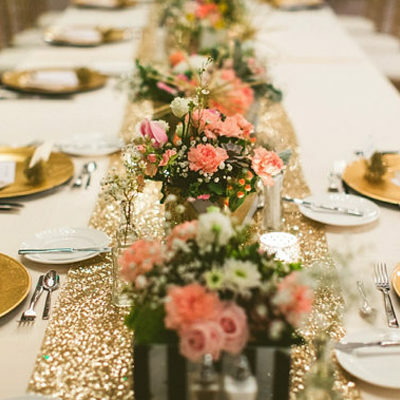 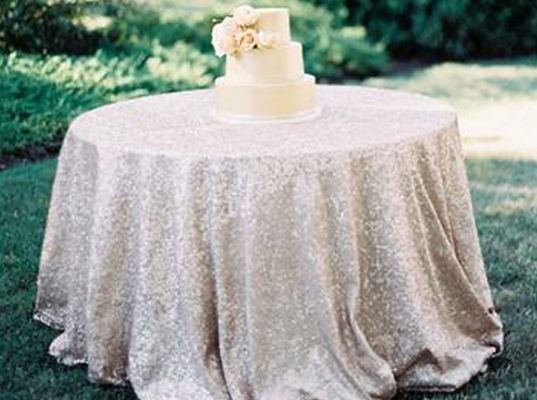 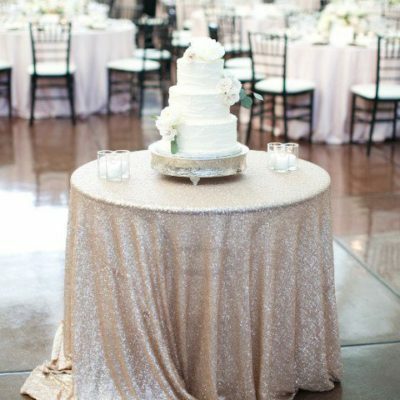 Festive yet elegant, this tablecloth has champagne colored sequins all over. 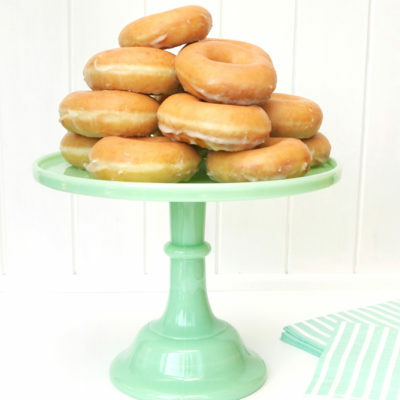 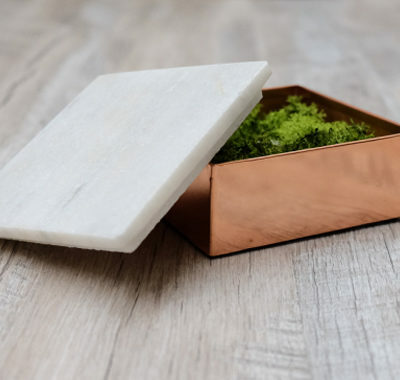 Perfect for any party, wedding or just for fun. 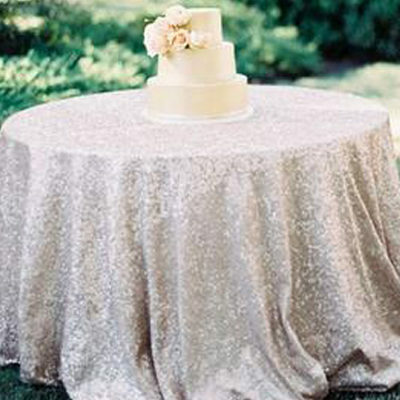 Perfect fit for a 180cm diameter round table.